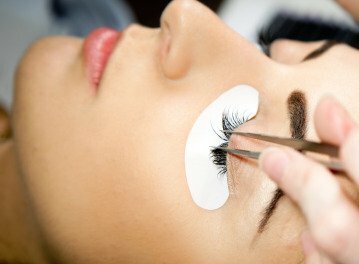 Eyelash Extensions at Flawless Lashes in Atlanta, GA are faux lashes that are applied to one single natural eyelash at a time. 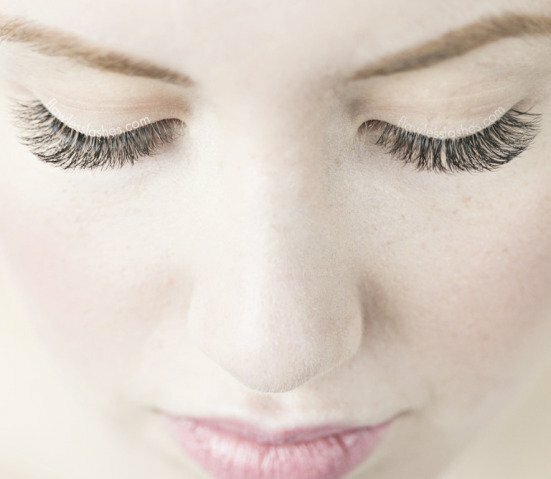 Your natural eyelashes are able to move, grow, and shed as if you have nothing on them. Flawless Lashes give you eyelashes that no amount of curling, mascara, or strip lashes could ever achieve, yet they are undetectable and feel weightless. Flawless Lashes stay on 24/7, even through work outs and swimming. They are soft, natural, non-damaging, and flat out gorgeous. No one will know they aren’t yours, but will wonder how they are so amazing! 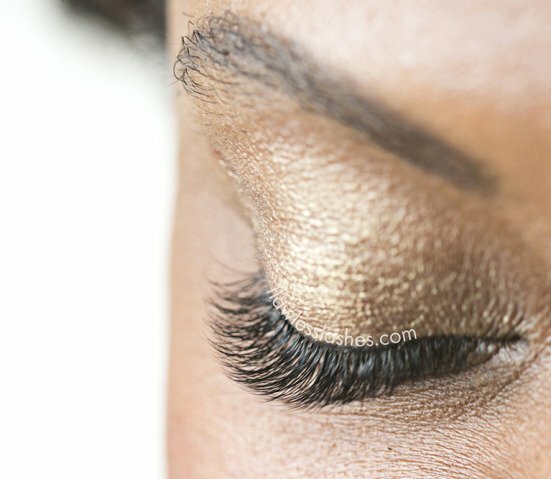 At Flawless Lashes our primary focus is the health of your natural eyelashes. 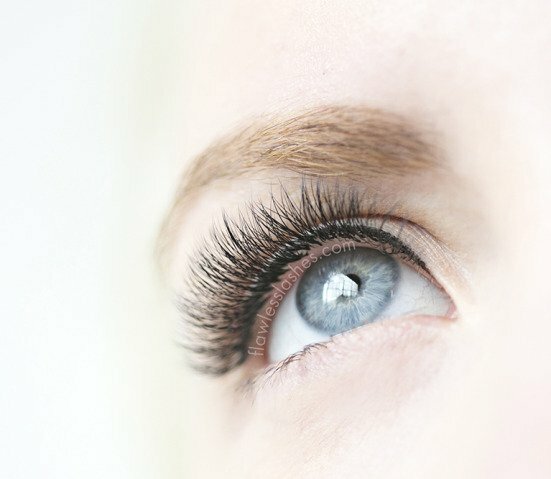 We pride ourselves on applying eyelash extensions that are appropriate in length and weight for your natural eyelashes to healthily support, long term. Every single photo on our website is of our work, and has zero mascara on it. We encourage you to view our Photo Gallery, which includes examples of classic lashes, volume lashes, and ultimate volume lashes. You can also have beautiful lashes every day, and never need to apply mascara! Contact us today for booking. I’ve had eyelash extensions for more than one year and totally addicted. They are fabulous; out of the shower, end of a run and your lashes look great. I’ve been going to Flawless Lashes for about six months and their work is top notch. If you’re picky, like me, she’s the go to person. Flawless Lashes’s eyelash extensions are neat (never clumpy or tangled) and last for 3 weeks so they stay on well. I could probably go longer than 3 weeks but I like them to always look full. Flawless Lashes’s work is consistent so every time, my lashes look great. The’re always on time, has easy online booking (they books up fast) and convenient in Bhead. Small, quiet place and one hour, I’m in/out the door. Love it!! This is as good as it gets, I have been a customer this amazing business since 2010. The technicians are all professional, friendly, and great at what they do. The location is a lovely space that’s relaxing, clean, and has lots of natural light. I do not recommend services like this lightly. You will be satisfied, impressed, and wonder how these perfectly applied lashes could make such a difference in your day and save you so much time in your routine. Highly recommended. Enjoy! The process took about 2 hours and was so low-key and painless that I literally took a nap for part of it. When I woke up my eyelashes had been seamlessly transformed. They are now long, soft, black, and curled gently. However, and you’ll have to take my word for this: they don’t look fake. I look like a girl that I would have been jealous of for having crazy natural lash assets. In closing, I would without a doubt recommend this process to anyone who’s been periodically unsatisfied with their eyelashes.